"Wolves are the only bottom-half team to have beaten the Hammers in five matches, with Pellegrini's side winning three of the other four (and scoring three or more in each of those wins)." The Hammers are on the up in a week that has seen them win 3-0 away to Newcastle and 3-1 at home to Cardiff, taking them to 12th in the table on 18 points. That puts them eight points clear of the drop zone and generally they appear to be a side that should be looking up rather than down. Manuel Pellegrini's side were handed one of the toughest fixture lists, having played all of the current top 10 in their opening 13 matches, but they appear to be coming out of the other side in good shape for a pre-Christmas surge. The downside is the hamstring injury that forced Marko Arnautovic to be substituted in the Cardiff match and looks set to keep him out for several weeks. On the plus side Lucas Perez scored two goals off the bench as Arnautovic's replacement and Javier Hernandez is also in good scoring form, having notched twice against Newcastle. Aaron Cresswell also has a hamstring injury, having gone off in the Newcastle match. Palace had back-to-back good performances - and clean sheets - in their goalless draw away to Manchester United and last weekend's 2-0 home win over Burnley, but then they slumped again on Tuesday with a 3-1 defeat at bitter rivals Brighton. Roy Hodgson's side were 1-0 down when Brighton's Shane Duffy was sent off after 28 minutes and then contrived to lose the rest of the match 2-1 against 10 men. That leaves Palace in 15th place on 12 points, with the relegation zone just two points below them. At least Hodgson appears to have no significant injury worries after the Brighton battle and, whereas West Ham are missing their talisman Arnautovic, key man Wilfried Zaha looks set for his fourth consecutive start. 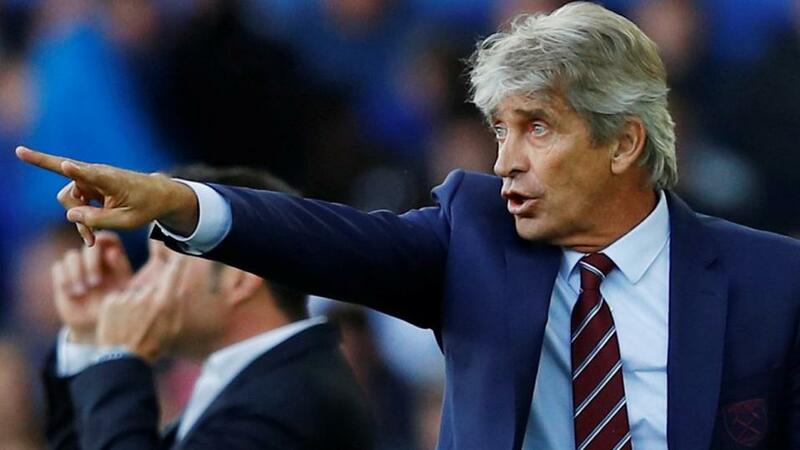 West Ham's two wins this week have been eyecatching but their underlying form is pretty good. Since losing 1-0 at home to Wolves on September 1, their only defeat against a side outside the big six was 1-0 at Brighton - always a strong home team - in early November. The Hammers' overall record excluding the big six since the Wolves defeat is W4 D2 L1 and at home it is two wins out of two, which indicates a good chance of further improvement now that their fixture list has eased. Wolves are the only bottom-half team to have beaten the Hammers in five matches, with Pellegrini's side winning three of the other four (and scoring three or more in each of those wins). That form indicates a good chance against Palace, whose three wins this season have been against teams currently in the bottom four. Their record against the rest of the division is W0 D2 L9, although it has to be noted that the draws were against Arsenal and United. With more teams able to nullify Zaha, who has not scored since mid-September, Palace are lacking a cutting edge and they have taken only one point this season in a match where the opposition scored. With West Ham looking likely to score, this match looks booked for a home win and odds of [2.38] seem generous. West Ham's goals figures are fairly mixed under Pellegrini, although the most compelling statistic in favour of backing over 2.5 goals is that they have gone above that mark in seven of the nine matches in which they have scored. Palace are proving a drag on goals tallies this season and they rank second for matches with under 2.5 goals (10 out of 15). It is questionable whether Palace will contribute to the tally unless Zaha rediscovers his goalscoring touch, although it is worth noting that they have conceded at least two goals in eight of the 10 matches where they have failed to keep a clean sheet. West Ham are looking to win three consecutive Premier League games for the first time since December 2016. Their last two wins have been 3-0 and 3-1, they've not won three in a row while scoring at least three goals in the top-flight since October 1982. West Ham are  to win 3-0.